A leader is not 'the special one', but 'the one who makes us special', argue S. Alexander Haslam and Stephen D. Reicher. NOW WITH ADDED POSTSCRIPT: see below. It is probably in our history classes at school that we are first exposed to the idea of leadership. And, most likely, this encounter serves to couple the concept closely with notions of heroism. Think Elizabeth I, Churchill, Aung San Suu Kyi, Wellington, Gandhi, Mandela. Of course, there is a dark side here too (Hitler, Pol Pot, Stalin) but, nevertheless, from an early age we are encouraged to see leaders, above all else, as individuals with some special quality that eludes ordinary mortals. And so, when we aspire to become leaders ourselves, the question in our head is characteristically whether we too have that special quality. Are we made of the right stuff – a stuff that allows us to outshine mere followers? It is a highly profitable view, both for those who run costly training courses to help us discover our inner leader and for leaders themselves who can use the idea of exceptional qualities to justify exceptional salaries. It was not for nothing that former Chelsea FC manager José Mourinho styled himself ‘the special one’. But then again, perhaps it was. For the point at which Mourinho became convinced that he was ‘special’ appears to have been the starting point for his decline. Indeed there is a long history of leaders whose success seduced them into thinking that they were above everyone else, who came to believe that they alone knew what to do, and who thereby transformed success into failure. Hubris. Think Tony Blair. The problem, then, is not simply that it is wrong to think of leadership solely in terms of the characteristics of the individual leader, but that by doing so we actually compromise performance and organisational effectiveness. The simple reason for this is that, as Warren Bennis has repeatedly observed, leaders are only ever as effective as their ability to engage followers (e.g. Bennis, 2003). Thus, however great their vision, leaders are more likely to be dismissed as lunatics than lauded as heroes if they cannot convince others both to share their vision and to work hard to translate it into material reality. Without special followership, special leadership is nothing. The task of the leaders, then, is not to impose what they want on their followers, but to shape what followers want to do for themselves. In order to achieve that, leaders can’t succeed simply by stating what they themselves believe. Instead they must shape and articulate what they and their followers jointly believe. And to do this, they must start by listening. The problem with those who are so fixated on their own brilliance and who are so captivated by the sound of their own voice is that they never hear the voice of others. And as a result they lose any ability to craft a common voice. In short, then, the key to success in leadership lies not in an old psychology fixated on the individual ‘I’. It lies in the collective ‘We’. 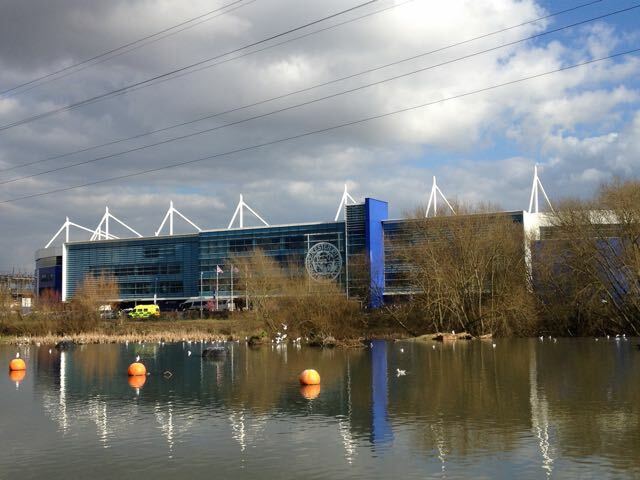 To see this in action it is instructive to move to Leicester – as the British Psychological Society did when it moved its head office in 1976 and, more famously, as Claudio Ranieri did when he took on the manager’s job at the now world-famous football club in 2015. Coming into the job, pundits were skeptical to say the least. Leicester City had narrowly avoided relegation the previous season, and were 5,000-1 shots for the title. (To give context, it was considered five times more likely that the Queen would have a Christmas number one single). Ranieri had a terrible reputation as ‘the Tinkerman’ – a reputation cemented while he himself had been the manager at Chelsea and had contrived to throw away a Champions League semi-final through an unnecessary substitution in the 62nd minute of the game that ‘destabilised his team so badly they threw away a winning hand’ (Wilson, 2016). Why did he do this? We don't know for certain, but, as Wilson notes, one possible reason was that he was ‘tempted into an eye-catching substitution to emphasise his agency’. Far from shining light on his skills as a brilliant leader, tinkering was his undoing. In such endeavours Ranieri was far from alone. Indeed, his actions mimic those of many a corporate manager whose passion for restructuring belies a desire to show the world what a great leader they are. Reviewing such enthusiasms in the medical world, Jeffrey Braithwaite and his colleagues describe this ‘restructuring as gratification’ as a toxic blight on the organisational landscape (Braithwaite et al., 2005) – noting that: ‘Evidence for this making a difference, let alone demonstrably improving productivity or outcomes, is surprisingly slender… Where there are studies, they challenge rather than support restructuring' (p.542). Of course, this is the stuff of media training on which all professional sportswomen and men now diet. The difference was that Mahrez meant it – and we know he meant it. For Leicester City is a team that dines ravenously on we-ness and Ranieri is now head chef. Importantly, though, we-ness is not just a recipe for football. Amongst other things, that is why, as the democratic involvement of the citizenry has increased over the last century, the three words whose use has increased most dramatically in State of the Union Addresses are ‘we’, ‘American’ and ‘people’ (e.g. see Sigelman, 1996). Leaders move their listeners not when they talk about themselves as individuals, but when they speak as the voice of the people. This point is confirmed in a study led by Nik Steffens that forensically picked over the content of the election speeches made by leaders of the main Australian political parties dating back to Federation in 1901 (Steffens & Haslam, 2013). Leaders who went on to win the election used the words ‘we’ and ‘us’ once every 79 words, whereas losers only used these same words once every 136 words. Moreover, in 34 of 43 elections the winner was the candidate who invoked the idea of ‘we’ and ‘us’ more frequently. The importance of speaking for the group is at the heart of what we refer to as the ‘new psychology’ of leadership (Haslam et al., 2011). More formally, we argue that leadership emerges from a relationship between leaders and followers who are bound together by their understanding that they are members of the same social group. An American President is bound to the electorate by being seen to be prototypical of an American identity they share. Managers can be leaders only to the extent that those they manage see themselves as part of – and identify with – the organisation or organisational unit that is being managed. 3. That they are making us matter – that their actions and achievements are a practical expression of our shared beliefs and values. There are many ways in which leaders can communicate their group membership. The most obvious will be through what they say about themselves – especially about their background and childhood. For instance, in the first ever active campaign for the US presidency, William Henry Harrison’s supporters characterised him as the ‘log cabin and hard cider’ candidate – a rough-and-tumble man of the people – as opposed to Martin Van Buren who was depicted as wealthy and effete (Whitcomb & Whitcomb, 2002). No matter that, in fact, Harrison was rich and van Buren poor: Harrison won by a landslide. Likewise today, what matters for Donald Trump to succeed is not that he be a man of the people, but that he is seen to be a man of the people, or at least, as an embodiment of the American dream (so different from ‘those other politicians’). But identity is not just a matter of words. Most importantly of all, we communicate who we are by what we do – and by what we are seen to do. Shared identity needs to be walked as well as talked. Anything that divides leaders from followers, and that undermines their claim to be ‘one of us’, equally undermines leadership effectiveness. It was often said in the past that the curse of British industry was the Directors’ canteen. In the present their pay is more likely to be the source of toxicity. For as managers pay themselves too much compared to workers, productivity goes down (in universities too: the greater the differential in salary between a Vice-Chancellor and ordinary staff, the worse the research assessment outcome). A while back, we did a very simple little study. We asked students at the beginning of the year whether they thought they were a good leader. Then, at the end of the year, we asked who they thought, amongst their number, actually was a good leader. The findings were striking. Those who thought themselves to be leaders were least likely to be chosen as leaders. Why? Because a fixation on the self got in the way of learning about the group and being able to represent it. This is a salutory warning against a romantic model of leadership that glorifies ‘I’ to the exclusion of ‘We’. It is a powerful illustration of the dangers of falling in love with one’s own reflection. It is a lesson that is relevant not only to students, but to political and business leaders as well. And it is also relevant to football. Jose Mourinho’s failures follow a trajectory from ‘We’ to ‘I’. It is a trajectory that lost him the support of his followers both on the pitch and on the terraces. In total contrast, Ranieri’s redemption follows a trajectory from ‘I’ to ‘We’. That is the source of the efforts and energy that have driven his team to success. It underlies their joint ability to make history and could be seen clearly in the faces of Leicester fans – and residents of Leicester – as the Premiership trophy was lifted. We live in an era when it is common for organisations to look to improve performance by importing great stars and expecting them to lead others to greatness. In business, in sport, even in academia, the logic is that buying in talent will boost the profile and fortunes of the team and elevate them in relevant league tables. But is this correct? Reviewing the evidence for this hypothesis with reference to the leadership literature, Hollander (1995) argues that in fact the presence of highly paid ‘stars’ more typically fosters a sense of inequity and unfairness within the team and that this ultimately compromises group cohesion and effectiveness. Amongst other things, he bases this conclusion on evidence that the discrepancy between the remuneration of those in leadership positions and rank-and-file members of an organisation tends to be negatively correlated with organisational performance. Will the city of Leicester change now Leicester City are champions? Certainly, many claim that there are such effects. After West Germany won the World Cup in 1954 there was a sense that the country now had something positive to unite around and be proud of. Equally, when France won the 1998 World Cup under the leadership of Zinedine Zidane, it was said to herald a new embrace of diversity and multiculturalism at the heart of French identity. And now, in 2016, the Bishop of Leicester, Martyn Snow, asserts that ‘the impact of this [victory] on the city and the country is huge and will last for many years to come’. Are these claims fact or fanciful thinking? That is an issue that we – a joint team from the Universities of Canberra, Queensland, Otago and St Andrews, coordinated by sports psychologist Katrien Fransen from the University of Ghent – are in the midst of investigating. Earlier this year we took advantage of the Rugby World Cup final to conduct longitudinal surveys and diary studies in the countries of the two finalists: Australia and New Zealand. Our supposition was that victory would be a moment when everyone could imagine their compatriots sharing the same thoughts and feelings. This would allow them to talk to anyone, even complete strangers, knowing that they would respond positively. You could go into that corner shop you have been in daily for years, but for the first time say to the server ‘Wasn’t that fantastic last night!’, knowing they would smile and answer positively. It is still early days in the analysis, but what is clear for now is that, in victorious New Zealand, the quality of interactions did indeed improve after the final, as did people’s sense of self-efficacy, and their sense of well-being. This matches a pattern we have found elsewhere in our studies (with Nick Hopkins) on the effects of collective participation: emergent shared identity creates a sense of intimacy with other group members and the expectation of continuing support from them. This in turn affects physical as well as mental wellbeing. Will it endure? We shall see. At the very least, it is clear that such events define an important research agenda, one which addresses the various ways in which collective experience shapes our everyday psychology and even our everyday physiology. Few predicted Leicester's triumph. Perhaps even fewer would have predicted that less than a year later, they would have plunged to the relegation zone in the Premiership, sacked their manager, then gone on another winning run to lift themselves out of trouble, and to reach the quarter final of the Champions League. On the day of their second leg against Athletico Madrid, we asked Haslam and Reicher for an update to their piece. 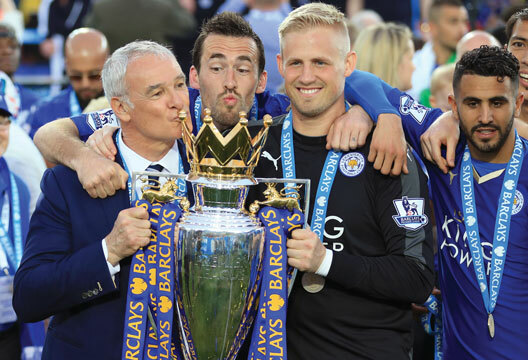 Last June, we wrote a piece for The Psychologist on Leicester City’s stunning sporting success. We suggested that the team's conquest of football's Premier League, under the guidance of manager Claudio Ranieri, was an example of how to succeed by applying the principles laid out in our book The New Psychology of Leadership. Back then, all seemed rosy. But less than a year later, things appeared very different. The team had plummeted in the League. Ranieri's ineffectiveness led to him being dumped, to be replaced by his assistant Craig Shakespeare, and only then did Leicester begin to claw their way out of the relegation zone. By the same token, surely any analysis which promotes Ranieri as a model of good leadership must also be deficient. It should likewise be dumped. Isn't it simple? We were wrong. The best we can do is to admit it and start again. The case seems compelling... except for one thing. The whole essence of our argument was that leadership is not just about the leader and that Leicester's lesson in leadership was not just about Ranieri. As we outline in our book, leadership is about creating a sense of shared group membership – of 'we-ness' – which brings people together and provides a basis for them to work as and for a team. Certainly the leader – Ranieri in this case – is critical in creating and entrenching such a sense of social identity. But other team members – in this case the players – are no less important, and indeed we argue that the way they play together is far more important that their individual qualities in the abstract. If we are to explain the contribution of leadership to the waxing and waning of Leicester's success, then, we won't find it by looking only at Ranieri, nor by looking only at his players. Instead we need to examine their capacity to put individual egos to one side and to work as a group. And, while we don't yet know exactly what went on this season to affect that ability, we can point to one very obvious factor which differentiates between last season and this: the fact that the no-hopers of 2015-16 became the champions of 2016-17. In The New Psychology of Leadership (and in our original piece for The Psychologist) we refer to a tragic trajectory in which leaders start off listening to group members and hence are able to represent their values and concerns, but then once they start to be successful become seduced by the idea that this success was down to them alone. They begin to believe that they know better; they stop listening; they lose their ability to represent; they fail. Compare the Tony Blair at the time of Diana's death in 1997 with the Tony Blair at the time of the Iraq invasion in 2003. What Leicester's story suggests is that we can complement this analysis of the trajectory of leadership with an equally tragic trajectory of followership. Here the success of a team leads its members to believe that this is down to their individual brilliance. They no longer recognise their interdependence with others; they no longer believe that others (including leaders) have anything to tell them; they no longer feel that they need to work quite as hard; they fail. In the case of Leicester, there is some evidence that both these trajectories had a role to paly in their demise. Thus on the one hand there is evidence that Ranieri sidelined popular support staff (including his then No. 2 Craig Shakespeare and the team psychologist, Ken Way) and started to insist that his was the one voice that mattered when it came to team tactics. Some of those players at the start of the season, all of a sudden, start[ed] to believe they were big players. They thought “we're champions and we're big players” and they took their foot off the accelerator. What does the manager do then? The manager has a go at some of them and points that out to some of them. Then he falls out with one or two of the more influential members of the dressing room and then you’ve got the followers in the dressing room and all of a sudden he's fallen out with most of the dressing room. This analysis this speaks to a more complex dynamic in which an interaction in the way leaders and followers react to success serves to undermine their mutual respect, their trust and their sense of shared identity. As a result, a once cohesive team becomes a collection of individuals. Their energies cease to combine but become set against each other. Ultimately, a once consensual and melodious us-ness is drowned out in a rankled cacophony of I-ness. The failures at Leicester this season therefore perfectly illustrate the overall lesson we drew from last season's success. If leadership were reducible to the qualities of the leader, then it would be impossible to explain the team's change of fate (unless one believed that Ranieri had a personality transplant over the summer). If, on the other hand, leadership is about the qualities of the group, then change becomes much more amenable to explanation. What binds people together (or pulls them apart) is inherently fragile, fickle and fleeting. It is inevitably affected by group performance. Indeed, the (ongoing) lesson of Leicester is, perhaps, that the greatest challenge to group success is success itself. Ironically, Ranieri himself seems to have understood this. Just before the Premiership triumph, in early April 2016, he referred to Kipling's poem 'If': 'If you can meet with Triumph and Disaster/And treat those two imposters just the same...'. He went on to comment: "it is fantastic. It says victory and defeat are the same bedfellows... maybe I will give it to my players". We do not know whether he did or not; but, either way, events served to underscore the truth of Kipling’s words in the most dramatic way possible. Tonight, in the second leg of the Champions League quarter final, Leicester City have a fighting chance of overturning a 1-0 deficit in order to progress to the dizzy heights of a semi against one of Europe’s very top teams. Their experienced defender Christian Fuchs admits they start as underdogs, but in a press conference littered with references to ‘we’ and ‘us’, he appeared to relish that. Could a Shakespeare-inspired ‘back to basics’ of ‘we-ness’ swing the pendulum in this most dramatic of sporting stories back to ‘triumph’? Find more of their work in our archive. - See also 'The Psychologist Guide to Leadership', written by Ella Rhodes and supported by the Goldsmiths Institute of Management Studies. Adair, J. (2009). Effective leadership: How to be an effective leader. London: Pan Macmillan. Bennis, W. (2003). The end of leadership: Exemplary leadership is impossible without full inclusion, initiatives, and co-operation of followers. Organizational Dynamics, 28, 71-79. Bloom, M. (1999). The performance effects of pay dispersions on individuals and organizations. Academy of Management Journal, 42, 25–40. Braithwaite, J., Westbrook, J., & Iedema, R. (2005). Restructuring as gratification. Journal of the Royal Society of Medicine, 98, 542-544. Drucker, P. F. (1986). The frontiers of management: Where tomorrow’s decisions are being shaped today. New York: J. P. Dutton. Haslam, S. A., Reicher, S. D. & Platow, M. J. (2011). The New Psychology of Leadership: Identity, Influence and Power. Hove and New York: Psychology Press. Hollander, E.P. (1995). Organizational leadership and followership. In P. Collett & A. Furnham (Eds. ),Social psychology at work: Essays in honour of Michael Argyle (pp.69–87). London: Routledge. Reicher, S. D., Haslam, S. A., & Hopkins, N. (2005). Social identity and the dynamics of leadership: Leaders and followers as collaborative agents in the transformation of social reality. Leadership Quarterly, 16, 547-568. Steffens, N., & Haslam, S. A. (2013). Power through 'us': Leaders' use of we-referencing language predicts election victory. PLoS ONE, 8(10): e77952. Whitcomb, J., & Whitcomb, C. (2002). Real life at the White House: two hundred years of daily life at America's most famous residence. New York: Psychology Press. And explained that all you have to do is turn over one letter to make the difference.